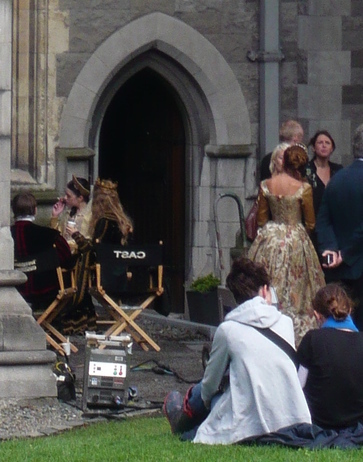 The Tudors: BTS Season 4. . Wallpaper and background images in the The Tudors club tagged: the tudors screencaps king henry viii katherine parr mary tudor edward vi. This The Tudors photo contains jalan, pemandangan kota, perkotaan, kota adegan, and perkotaan pengaturan. There might also be portcullis, jejak kuda, horse trail, lintasan kuda, and tempat sampah.